Do you know you could be your own real estate agent even as a homeowner? Of course, you could save tens of thousands of dollars in agent’s fees selling your home yourself. This could save you a fortune. So, why not start now to consider selling your house yourself without the services of a real estate agent. Here we explain hot to make a Home Sell Easy process. Why hire a real estate agent when you know you can do as good a job as they could do? Contrary to general perceptions, it’s much easier to sell a home by yourself without having to hire the expensive services of a real estate broker. However, it is very needful to know that some amount of work will be required on your own part to do this. There are certain things you will be doing which are typical to the role of a real estate agent. Here is a simple guide that can make your home sale process as easy as possible and also help you save lots of money. Home Sell by owner could be an easy process if you follow the steps we outline here. When it comes to making private house sales, your home just has to look great. Most home buyers are interested in purchasing attractive, spacious, and clean houses. Dazzling your buyers should be your main goal. You can make your house sparkle by performing some simple aesthetic improvements such as repainting faded rooms, shampooing rugs, broken tiles, fixing squeaking steps, planting flowers, and even trimming trees. These actions can greatly improve its curb appeal. Ensure to get rid of every clutter from the rooms, tables, and countertops which essentially help to brighten up the house. It’s one thing to make a house look great but making it smell nice is also very important. You can make your house smell good by getting rid of the garbage, ensuring that the cat box is properly clean and lighting mildly scented candles. Invite your friends, family or neighbor to take a walk through the house as a prospective buyer would do and give you their opinion its overall outlook. 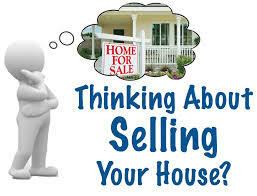 A home sell can be very tricky at times particularly when it is not rightly priced. Many “for sale by owner” (FSBO) home sellers often find it difficult to sell their homes successfully due to over-pricing. You could reduce buyers’ interest when you overprice your home. So, be careful not to overprice your home as this may not only lead to mortgage rejections from appraisals but also make competing homes look like better values. Though prices are dictated by the home selling market, it is good to price your home right. When selling your home, pricing is always an important factor to consider. You can obtain the right price for your home by finding out for yourself how much other homes similar to yours were sold in your neighborhood. Take up your local newspaper and check out to check out the real estate listings in it and feel free to consult other home sellers and buyers. A real estate lawyer can help you avoid inadvertently discriminating against any potential buyers. An experienced professional can also assist in handling your home’s closing process, review contracts, evaluate complex mortgages, or leases while providing options for purchase, acting as an escrow agent to withhold the down payment, and evaluating complicated offers, particularly those that require a variety of conditions. Apart from the peace of mind, you stand to gain, there is also the confidence of having a professional looking out for your interests when you hire a real estate lawyer. By law, there are certain details or information that must be disclosed to your buyers before making any sale. This is why lawyers are needed in private house sales to help sellers know their obligations. If you are working with a title company, you may not need to hire a real estate lawyer as they do have in-house legal departments that can provide the necessary assistance needed to tackle any legal issue that may arise. As you already know, your house cannot sell itself unless you market it for sale. Getting your home on the market is all about exposure. Just so you know, there is no faster and better way to sell your home than this. Marketing a home for sale is specialized work. There is quite a lot to organize when selling a house. As a matter of fact, you will be involved negotiating the legal ins and outs, writing and implementing marketing campaigns and opening homes for visits. Dealing with these things can be difficult especially if you are already busy with jobs and family. Before getting on the market for a home sell, you’ll need to know the actual home selling market. Depending on the market conditions, ensure to properly judge any offer you get. Don’t allow circumstances to pressurize you to sell your home even if the selling market is slow. Feel free to make a counter offer once you feel the home’s offer is insufficient. So you will need to set aside quality time for the task or hire an experienced real estate agent to help take the pressure off you. Getting an expert deal with buyers and at the same time, ensuring a smooth process is the right way to go particularly if you don’t want any interference with your personal life. Remember, the first offer is not always the purchasing price.